Backup files (BKF) tend to be one of the most crucial database files. They plays an important role in restoring the complete database of an application to its earlier state at the time of disaster. Making a backup file of any application safeguards that no matter what happens to the database of an application, it can be retrieved via BKF files. Manual as well as automated solution will describe in the article to repair corrupt BKF file. All these BKF files are made via NTBackup utility in Windows 2000, Windows XP as well as in Windows Server 2003. 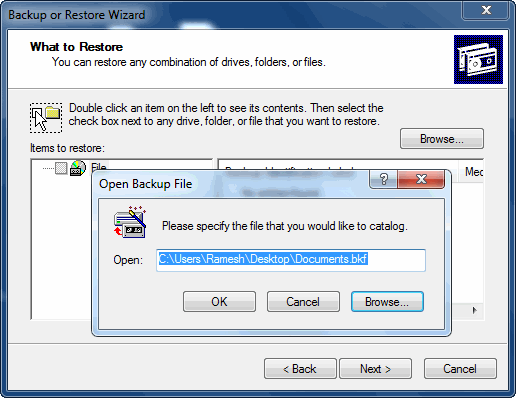 The backups created by this utility can be retrieved by using the same utility as well. 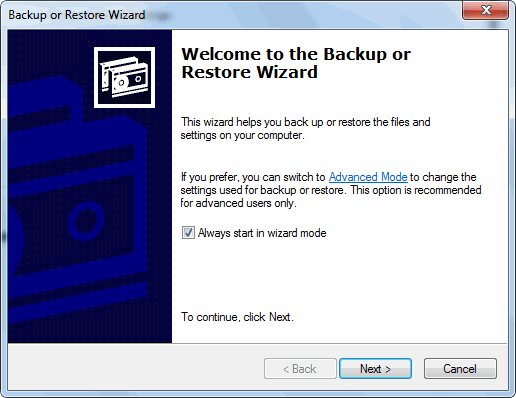 However, in the subsequent versions of Windows Operating system, a new application named as Windows Backup and Restore makes backup files of the database application. BKF files prove to be an efficient only at the time when all these files are in a healthy state. Similar with the other database files, BKF files are also inclined to corruption and they might completion up in being corrupted themselves. In such a scenario, it gets necessary to retrieve the data from the Backup file. This is due to corruption of backup file, which means that inaccessibility of data existing within the file. One of the most common feature in the corruption of Backup BKF files is its mismatch with the Windows edition other than the one on which it was made. The most common error, which comes when a user tries to restore and repair corrupt BKF file by using NTBackup restore, is unable to restore. The main reason behind this error is the invalidity of streams of data. The data stream problems arise in the cases when the BKF files that are tried to be restored have not been made on the same platform and the BKF file will generate an error. This error in worst-case scenario may lead to inaccessibility or corruption of Backup BKF file. 10. Click Next >> Finish. 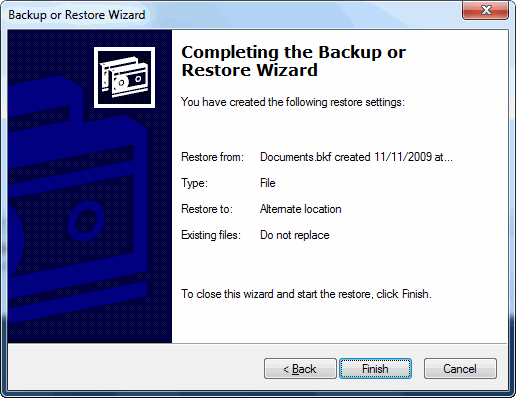 In this manner, some backup files can be repaired. 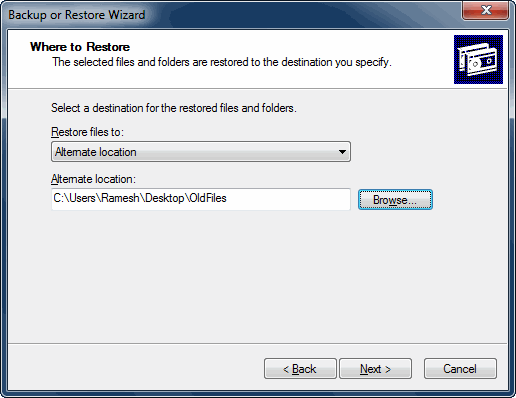 It is important to note that the Windows Restore Process is successful in some cases. At times when the file has major corruption, this process does not fully repair corrupt BKF file. MS backup error recovery only works for Windows Vista, Windows 7 and 8. It is not applicable to Windows XP or older versions. It is a lengthy and time-consuming process. This method may result in some data loss. This is not ideal because the users wants all files of the backup to be intact. It will work only if the necessary DLL files are present in the system. These files, i.e. ntmsapi.dll and vssapi.dll need to be present. 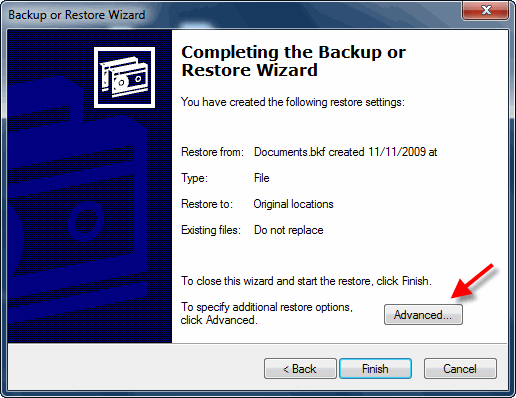 To overcome the limitations of manual method, there is a software namely Windows Backup Recovery Tool. Download BKF Recovery Software, that can easily can open and repair corrupt BKF file within few moments. The application comes up with numerous of inbuilt functionalities that makes easy for users to recover the data. The best thing about the software is that it supports all the Windows OS to perform the process. For the work continuity, it is important to have the backup of the data. However, it creates more problem when the backup file gets corrupted or inaccessible. After understanding this, there are two methods discussed in the above write up that makes easy for users to perform MS Backup (.bkf) Error Recovery and repair corrupt BKF file data in an effortless way.